I saw Carter mentioned on a map of the history of Gothic Literature, so I decided to do some research on her; and the more I read about her and her stories, the more I needed her work in my life. I scanned through a copy of Norton Anthology of Literature by Women from my bookshelf, and yes! right at my fingertips was “The Company of Wolves,” which is one of the short stories from this collection. The concept of these short stories revolves around taking traditional children’s fables and reworking them into adult-themed, feminist stories. Some scholars label her “magical realism” while others call it “feminist Gothic/Horror”. I think a mix of both probably suits her well, but having read only one story does not qualify me as an expert. I now find myself desperate to buy the whole collection to see where she took other fables from my childhood. I wrote my undergraduate thesis about Angela Carter! 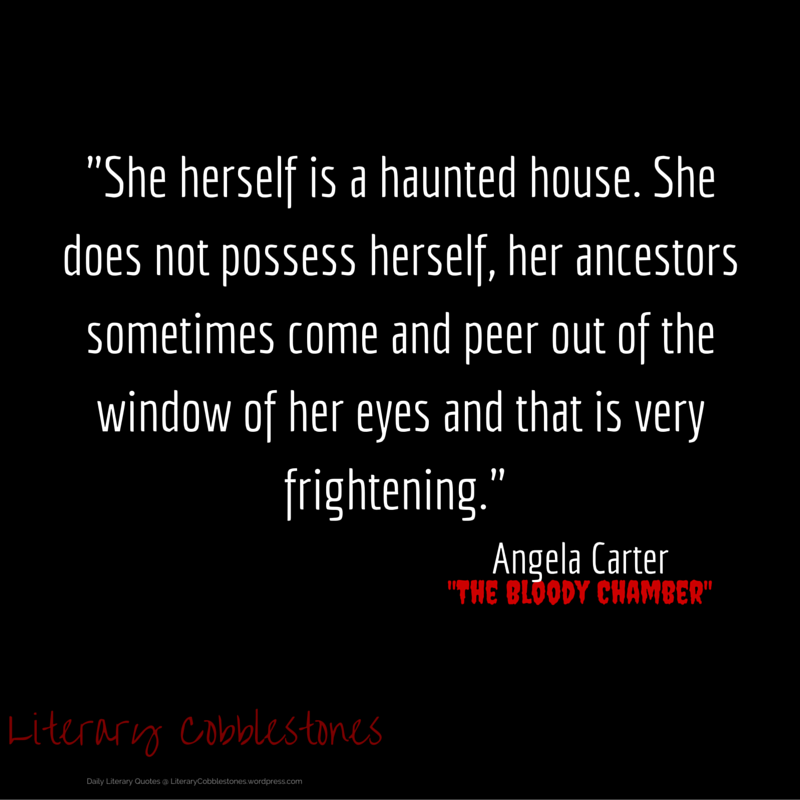 “The Bloody Chamber” collection is a delight. One of my other favorite Carter short stories is “The Fall River Axe Muders” from her “Black Venus” collection (published as “Saints and Strangers” in the US). I think the best way to enjoy her short stories is by picking up a copy of “Burning Your Boats”– it’s an anthology of all her short story collections. Thank you for the suggestion! I have now added “Burning Your Boats” to my “must have” list. Having all of her stories in one collection will save me a follow-up trip to the bookstore.